Bangkok is awash with tailors. You can walk down practically any street in the city centre and find a handful of similar establishments all trying to sell their products and service. For the most part, these tailors are not great quality and try to win you over with sales jargon, catchy banter and perseverance. We have all heard the various different catch phrases they use to try and lure you into their store! Their pushy technique can soon become tiring and make you never want to step foot in a tailors shop again! When walking down 93 Sukhumvit Soi 8 you might think that Tailor on Ten is a residential property as it is surrounded by greenery. Don’t let the unassuming exterior fool you, however – inside you can find one of the best tailors in the city run by two brothers of Canadian and English descent. The range of fabrics available are many and only the finest materials are used – you can pick up a custom tailored shift here for approx 1700 Baht and suits start at 12,00 Baht. Located in the trendy Thong Lor district, this established tailor has catered to musicians and actors and is considered to be one of the true luxury tailors in Bangkok. Despite its reputation, the prices at Button Up Tailors are still reasonable and you can pick up a custom shirt from as little as 2000 Baht. All garments are made in-house and the craftsmanship and handiwork is a pleasure to behold. If you want a personalised shirt or suit then this is the place to come! If you walk down Sukhumvit Road you may not even notice this unassuming tailor’s – you may even think it is just another run of the mill establishment not worth a second glance. That could not be further from the truth, however. Rajawongse Clothier has an astounding reputation and a clientele that will make most envious including presidents and diplomats. The quality is undeniable and a great thing about this tailor is that you can re-order any custom items you had through their online store. With over 50 years of collective experience, Raja’s is a truly remarkable establishment. You can find this tailor only a short distance from the last entry Narin Couture on Sukhumvit Road. Raja’s offers quality, value for money and a service that is world class. 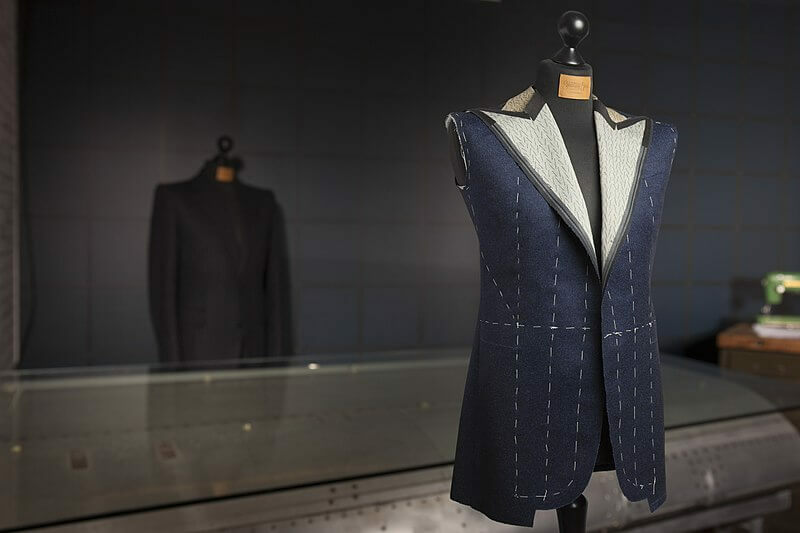 This tailors offers a fine range of sports jackets, suits, tuxedos, shirts and trousers all custom made and bespoke – the quality is astounding and the craftsmanship is unbelievable. Located on Sukhumvit Road only a short distance from the Nana BTS station, Narin Couture is a household name in the tailoring scene in Bangkok. Established in 1997, this tailor is well-known for its quality and use of exceptional materials such as cashmere and Egyptian cotton. The owner Narin has a host of experience and takes pride in his workmanship and detail. You can pick up a two-piece suit starting at 10,000 Baht and the lead time is typically two weeks. There you have it – 5 excellent tailors in the heart of Bangkok. We guarantee that these tailors will provide a first class service and you will look simply magnificent in your new suit! Why not pop into one of these establishments today and treat yourself? Any other recommendations, please feel free to add them in the comments below.